CookeMcDermid was founded in 2017 when two preeminent literary agencies, The Cooke Agency and The McDermid Agency, amalgamated, combining nearly 50 years of experience. We are a full-service literary agency representing authors of literary, commercial and speculative fiction; a broad range of narrative non-fiction; health, wellness and lifestyle resources; and middle-grade and young adult books. Our writers have been nominated for and won many literary prizes including the Man Booker Prize, the Scotiabank Giller Prize, the Governor General’s Literary Awards, the IMPAC, the Writers' Trust Awards, the RBC Taylor Prize for narrative non-fiction, the (formerly named) Orange Prize, the Amazon First Novel Award, the Kobo Emerging Writer Prize, the Stephen Leacock Medal, the Forest of Reading Awards, the National Business Book Award, the World Fantasy Award, the Nebula Awards, and the Commonwealth Prize. Their books have been adapted into major motion pictures and translated into over 40 territories. We sell Canadian and American rights directly. Cooke International represents our UK and translation rights, in conjunction with 35 co-agents around the world. CookeMcDermid also works with associates to sell film and television rights in Canada and abroad. Dean has worked in publishing for over thirty-five years, as an agent and publisher. In 1992 he founded LivingstonCooke, which became The Cooke Agency, and later merged with The Harding Agency and The McDermid Agency to become CookeMcDermid. Dean has represented many of Canada’s best-selling and award-winning authors, including winners of the Scotiabank Giller Prize, the Governor General Awards for fiction and non-fiction, the National Business Book Award, the IMPAC, and other national and international awards. His clients’ works are published around the world in many languages. Dean has lectured as an adjunct professor at Simon Fraser University and other venues in Canada and the United States on a wide range of publishing-related subjects. He spearheaded the creation of the HarperCollinsPublishersLtd and University of British Columbia Prize for Best New Fiction. In October 2014, he received the Ivy Award in recognition of his significant contributions to Canadian publishing. Sally Harding is a literary agent and co-owner of CookeMcDermid. Her list prominently features research-based non-fiction, and the more literary end of science fiction, fantasy, and speculative fiction. Unrestrained by boundaries of geography or genre, she finds the channels through which each work will best find its audience. She develops career-long relationships with writers who are deeply engaged with their subject and their craft. For Sally, it's not just about the words on each page, or the stories those words reveal, but the larger questions and dilemmas the writer is exploring through their work. Both a Canadian and a Kiwi, she cheers loudly for both countries. Sally is a member of the Association of Authors’ Representatives. She is on Twitter: @SallyCMD. Chris is a literary agent and co-owner of CookeMcDermid. He represents bestselling authors such as Bob Rae, Timothy Caulfield, Susan Delacourt, Amy Jones, James Grainger and Kerri Sakamoto. He is seeking mysteries, thrillers, historical fiction, commercial literary fiction and narrative non-fiction including popular science, popular culture, politics, memoir and history. Chris began his career at the University of Toronto Press and soon became an acquisitions editor in social sciences and cultural studies. He joined HarperCollins Canada in 2003 as a non-fiction editor. He moved to McClelland & Stewart in 2004, where he helped revitalize their non-fiction program as a senior editor by establishing relationships with international authors, agents and publishers. Chris brought to the M&S catalogue the likes of Alain de Botton, Christopher Hitchens, Paul Watson and Sir Martin Gilbert. Martha Webb is an agent and co-owner of CookeMcDermid. Her list comprises literary fiction, upmarket commercial fiction and a broad range of non-fiction, including investigative journalism, memoir (almost always with a particular focus), popular science, history and philosophy, and some (not much) self-help. She is drawn to rebels and contrarians with a good sense of humour, and to books that are topical, deal with important issues, or strive for social betterment while also being great reads. She values distinctive voices and good storytelling, in whatever form. 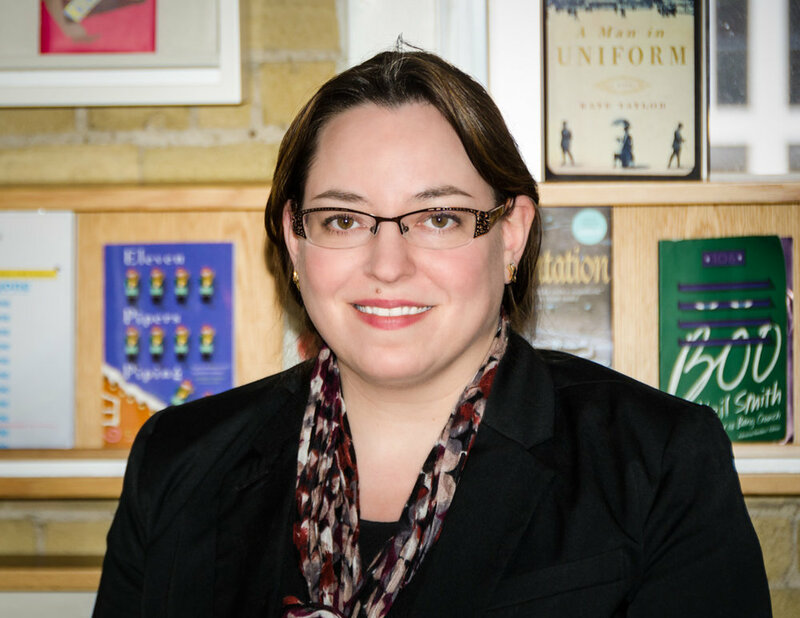 Her clients include Jen Agg, Michael Crummey, Robyn Doolittle, Cathal Kelly, Tima Kurdi, Saleema Nawaz, Pasha Malla, Zoey Leigh Peterson, and Shannon Lee Simmons. Martha began her career in publishing in 2005 with The McDermid Agency, of which she later assumed co-ownership prior to the creation of CookeMcDermid. She holds an MA in literature from the University of Edinburgh, and was born and raised in Montreal. Anne McDermid was a senior partner of the international literary agency Curtis Brown in London England for twenty years. Anne founded Anne McDermid & Associates Ltd in Canada in 1996. Many distinguished and prize-winning Canadian writers joined her list, and are now represented by CookeMcDermid, founded in 2017. Suzanne is an agent with CookeMcDermid and a co-owner of Cooke International, an agency specializing in foreign rights management for a diverse group of publishing clients. She has worked in publishing for over 20 years, as an independent bookseller, an editor, and, since 2003, an agent. Suzanne has close working relationships around the world, frequently travels to New York and London, and has participated in numerous publishing fellowships in Frankfurt, Jerusalem, Taiwan, Turin, and the United Arab Emirates. Suzanne is a hands-on agent and works with her clients to brainstorm and fine-tune book ideas and substantively edit proposals or manuscripts before submission. Whether literary or commercial novels or evidence-based and narrative non-fiction, Suzanne seeks stories that challenge the mind and/or move the heart. She is the agent for Rupi Kaur’s international bestseller the sun and her flowers, CS Richardson’s perennial bestseller The End of the Alphabet, and Emily White’s ground-breaking Lonely: Learning to Live with Solitude. Ron is a literary agent at CookeMcDermid and co-owner of Cooke International, an agency specializing in foreign rights management for a diverse group of publishing clients. He is a graduate of Simon Fraser University’s Master of Publishing program and a twenty-year veteran of Canadian publishing. Ron worked with Penguin Group Canada, Westwood Creative Artists, and Random House of Canada before joining CookeMcDermid and Cooke International. As an agent Ron is particularly drawn to dark fiction, both commercial and literary, in the areas of horror, suspense, and psychological thriller. On the non-fiction side, Ron loves pop culture, entertainment, music, pop science, and story-driven current affairs. Ron’s client list at CookeMcDermid includes bestselling author Scaachi Koul, CBC Radio columnist and pop-culture critic Jesse Wente, RUSH bassist and Rock ‘n’ Roll Hall of Famer Geddy Lee, and horror writers Eric McCormack and Michael Rowe. On his bedside table you will find equal amounts of fiction and non-fiction, but always, always at least one biography (authorized or not) of the Ramones. Ron is the sitting Vice-President of PACLA (the Professional Association of Canadian Literary Agents) and you can find him on Twitter @roneckel. Rachel is a graduate of the Humber Creative Book Publishing Program and the University of Toronto, where she specialized in English literature. She joined what was then The Cooke Agency in 2010. She frequently travels throughout North America to writers’ festivals and literary events to moderate panels, take part in quick-pitch sessions, and host workshops for authors. Rachel is actively seeking ground-breaking and heart-breaking middle grade and YA titles in all genres. She is drawn to works with a whimsical nature or a grounded, gritty edge in equal measure, though in either instance, unforgettable characters and original concepts are a must. She also has a natural soft spot for exquisite literary fiction. In non-fiction, Rachel is looking for narrative-driven memoirs, and anything quirky, life affirming or mind blowing. When not travelling or reading for pleasure or work, Rachel loves spending time with her family, inventing new recipes under the strict supervision of her cat, Mimsy, planning for the upcoming alien/zombie invasion, and swimming in lakes and oceans as much as possible. She is on Twitter at @rachelletofsky. Paige is an associate agent at CookeMcDermid. She is currently seeking well-written upmarket fiction that both entertains and has something to say, and she is always on the lookout for non-fiction in the memoir, lifestyle, and health & wellness areas. In addition to developing her own list, Paige oversees CookeMcDermid clients’ film and TV rights and handles marketing and publicity for the agency. Previously, she was a rights assistant for Cooke International, an agency specializing in foreign rights management for a diverse group of publishing clients. Paige has her Master of Arts from Ryerson University's Literatures of Modernity program and a Bachelor’s degree in English from the University of King's College and Dalhousie University. A born and bred Torontonian, she loves a good adventure and has also lived in LA, New Zealand and Halifax. She's on Twitter at @paigesisley. Leah handles finances, IT, HR, and general office management. She joined the agency in September 2014 after graduating from Humber College’s Creative Book Publishing Program. She holds two degrees: an Honours BA in English literature from Dalhousie University and a BA in Philosophy from York University, where her electives consisted primarily of accounting (financial and managerial) and languages (German, Korean, and Latin). Before pursuing a career in the publishing industry, Leah worked for seven years as an accounting clerk and administrator in the calibration and NDT industries. She will devour any cultural artifact that makes her think or makes her laugh (preferably both) and is drawn to non-fiction, particularly pop science and lifestyle. Please note that she does not accept submissions. Kailey joined the CookeMcDermid team via a practicum placement during her SSHRC-funded MA in Literatures of Modernity at Ryerson University. She now reviews manuscripts, makes sense of royalty statements, and provides administrative support as an Agency Assistant. Kailey held numerous editorial, archival, and organizational positions throughout her Honours BA in English literature and creative writing at Concordia University, and now spends her evenings and weekends proofreading for The Puritan, writing for The Town Crier, and attending local literary events. When she isn’t tinkering with language as a writer, editor, or scholar, Kailey enjoys holding books of poetry and literary fiction very close to her glasses or nestling a humorous non-fiction audiobook into her ears. Please note that she does not accept submissions. Aeman reviews manuscripts, assists with marketing efforts, and provides administrative support to all of the agents at CookeMcDermid. 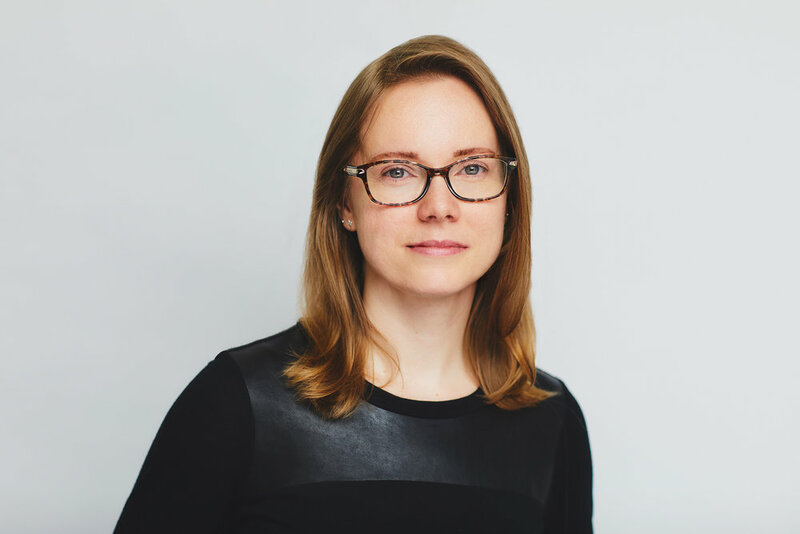 She has been a freelance writer and editor in Toronto for over five years with work published in Hazlitt Magazine, Popula, Torontoist, BetaKit, This Magazine, Huffington Post Canada, Toronto Review of Books, and elsewhere on the Internet. After she completed her Bachelors in Journalism from Ryerson University, with a specialization in critiquing representations of minorities in Canadian media, she did several internships at various imprints within Penguin Random House Canada. Aeman has worked as a coordinator for a non-profit organization, a social media expert, a baker, a grief counselor, and an ESL teacher, but her most rewarding and challenging job has been her role as an aunt to her 17-month-old niece. When she’s not learning how to read in Urdu, re-watching Hitchcock movies, or writing her next personal essay, she enjoys reading narrative-driven memoirs, poetry, and literary fiction. Please note that she does not accept submissions.